With an innovative perspective and an entrepreneurial spirit, our team has developed CellTrak into a respected industry leader. We are committed to transforming the health care industry and improving people’s lives through better delivery and management of in-home and in-community care services. 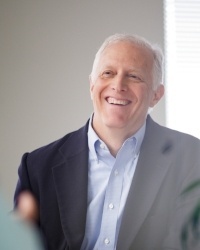 Mark Battaglia has over 30 years experience in start-up and growth stage companies. In addition to leading the strategic direction of the company, Mark leads CellTrak's Sales team. Prior to joining CellTrak, he was CEO at ThinkVine, a marketing planning and optimization company. His previous experience includes executive roles in marketing, business development, and international operations at software and information services companies serving the health care industry and leading the SPSS BI division as President. Mark is a member of the Advisory Board of the Home Care Technology Association of America, a National Association for Home Care & Hospice (NAHC) affiliate. 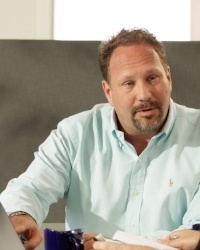 Andrew Kaboff is responsible for development of strategic partnerships with home and personal care market leaders and payers in the U.S. Andrew developed the CellTrak concept in late 2004, and launched the company and signed its first customer in early 2006. He has been recognized by the National Association for Home Care & Hospice (NAHC) as an industry leader and visionary for developing solutions for a mobile workforce. 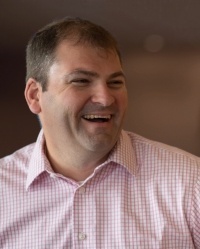 Dan Wacker is a strategic finance leader who builds scalable processes within high-growth companies and creates financial decision-making frameworks that stimulate growth. Dan is charged with revitalizing CellTrak's infrastructure for finance, accounting, and human resources to support rapid expansion. Previously, he was Chief Financial Officer at companies in the media, entertainment, and technology space – most recently ClubReady, LLC and the Coolfire family of companies, where he architected growth initiatives and transformed key financial processes. Dan currently sits on the board of MedAware Solutions, Inc. and serves as a mentor for Stadia Ventures in their technology accelerator program. Steven Wegner leads the data infrastructure and data security functions for CellTrak. From 1996 to 2006, Steve was a technology solutions consultant for Intelligent Computer Solutions / Sikich Group, where he was responsible for new business development and account management for network integration, connectivity, security and infrastructure projects, as well as custom software and website development projects. Steve provides CellTrak Technologies expertise in web application environment experience, data center design, disaster recovery and business continuance strategies, and network infrastructure of all types. Ryan Royal leads all aspects of CellTrak's software development and quality assurance functions and is responsible for driving innovation. His 17 years of experience includes health care technology-related roles from application development to creation of strategic vision. Most recently, Ryan successfully led the core-product rebuild for a provider of patient engagement software as Chief Technology Officer. As VP of Customer Success for CellTrak, Kristi Harris is responsible for ensuring our clients have a positive return on their investment and a great experience working with us. 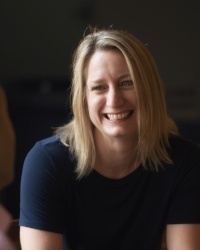 Kristi brings nearly 20 years of developing and managing teams responsible for software implementation, account management, training, and product support for various software companies in the health care industry. She has worked with hundreds of hospitals across the US to use software, data, and analytics to improve their business. 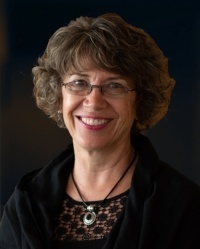 Deb Mulholland is an experienced senior executive who brings more than 30 years of management experience including government, non-profit, and private organizations. She held a senior manager position with a national home health care service provider, where she was responsible for supporting quality care and service delivery by enabling frontline technology and operational tools. At CellTrak, Deb is responsible for creating partnerships and supporting organizations to achieve system integration, and leverage technology to improve organizational, staff, and client outcomes. Cheryl Reid-Haughian has extensive experience in home health care and technology industries. She has been involved in a variety of research initiatives testing the impact of technology-enabled clinical information systems. Her most recent work includes working collaboratively with nurses to design and implement a technology-enabled clinical information system for a large Canadian home health care provider. At CellTrak, Cheryl provides leadership to customers, helping them develop strategies to ensure safe and quality care delivery services. As Director of Product Management at CellTrak, Amy Morris is responsible for managing in-life product performance: leading the development, approval, training and communication of new products and how they affect customers and systems. She brings 14 years of experience in product management to the CellTrak leadership team. Peter Caron acts as the head of marketing and strategic partnerships. Prior to CellTrak, Peter worked for over 20 years in software and held leadership roles in marketing, product management, product marketing, strategic partnerships, and as a CEO. The majority of Peter's work has been in the predictive analytics and sales enablement markets. Peter's most recent volunteer work has been in mentoring others in software innovation. 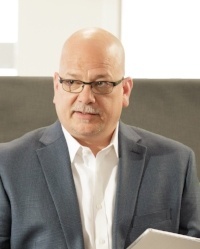 Mark Battaglia, President and CEO of CellTrak Technologies, Inc.
Mark Battaglia has over 30 years experience in start-up and growth stage companies. Prior to joining CellTrak, he was CEO at ThinkVine, a marketing planning and optimization company. His previous experience includes executive roles in marketing, business development, and international operations at software and information services companies serving the health care industry and leading the SPSS BI division as President. He earned a BA from the College of William and Mary and an MBA from the University of Chicago Booth School of Business. 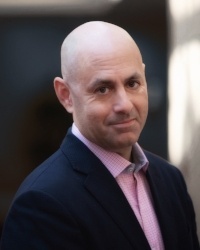 Mark Koulogeorge is Managing General Partner of MK Capital, a $250 million venture capital firm that invests primarily in software, digital media, and educational technology. Mark leads the firm’s digital marketing and software investment practices and has over 15 years of venture capital experience. His functional expertise is in developing sales, marketing and distribution strategies to achieve market leadership and in the creation of high performance executive teams. Mark has served on the boards of directors of over 20 technology companies which have generated over $400 million of realized gains for his investors. Bill Hall is a Chicago-based venture capitalist who invests in health care and industrial companies. He is also an adjunct professor in the Engineering and Business Schools at the University of Michigan. Bill currently serves on the board of directors for the following organizations: Stericycle (SRCL: NASDAQ), Grainger (GWW: NYSE), Actuant (ATU: NYSE), Rush University Medical Center – Academic medical center in Chicago, Illinois, Northwestern University Settlement Association – Inner city social services in Chicago, Illinois, University of Michigan Depression Center – Academic & clinical medical research center in Ann Arbor, Michigan and University of Michigan Center for Entrepreneurship – Ann Arbor, Michigan. Bill Dyer is a General Partner of Boathouse Capital, a private equity firm based outside Philadelphia that manages $350 million across two funds. Boathouse focuses on mezzanine debt and equity investments. Bill has over 15 years of experience investing in lower middle market companies. He sits on the boards of directors of Accurate Background, IMPLAN, Associated Luxury Hotels International, Hoonuit, and Frontier Strategy Group, in addition to serving on CellTrak's Board. He has an MBA in Finance from the University of Chicago Booth School of Business, and a BS in Biology from Duke University. Josh Beebe is a Director at MK Capital, where he leads the firm's healthcare technology investment practice. 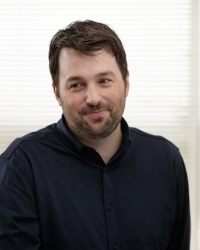 Prior to joining MK Capital, Josh served as a Partner and Chief Financial Officer with Arbor Partners, an Ann Arbor, Michigan based venture capital firm focused on early-stage enterprise software opportunities. His experience includes managing mergers and acquisitions in the healthcare services industry. Josh sites on the board of directors of Junction Solutions, CMS Technologies, and Bulbs.com. He holds a Bachelor's degree in Business Administration from Hillsdale College and an MBA from the University of Michigan.